Good setting is as much about feet as it is about hands. Here, former Stanford All American Cary Wendell Wallin covers setting footwork (as well as hand technique) with some of her 10-year-olds from 949 Athletics in Orange County, California. 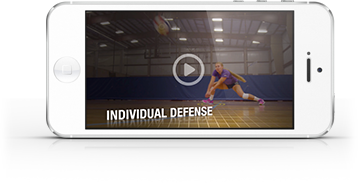 As you'll see, she emphasizes taking steps that allow players to quickly get to the ball, set with their shoulders square to the target and then return to their original spot.